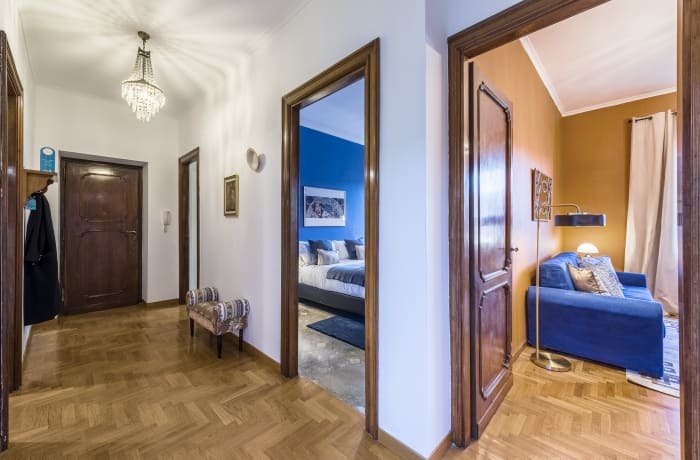 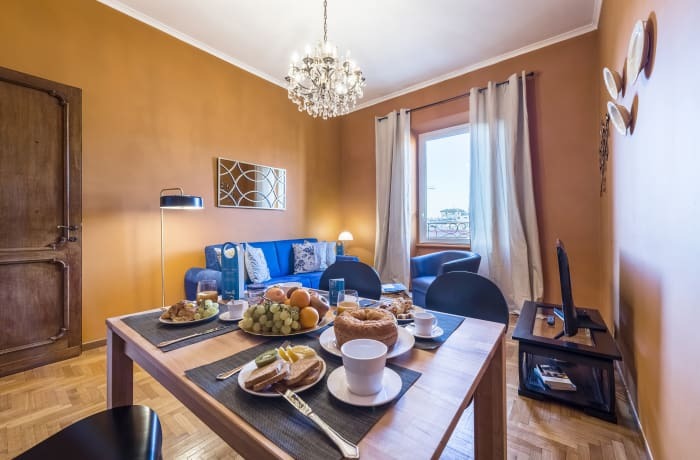 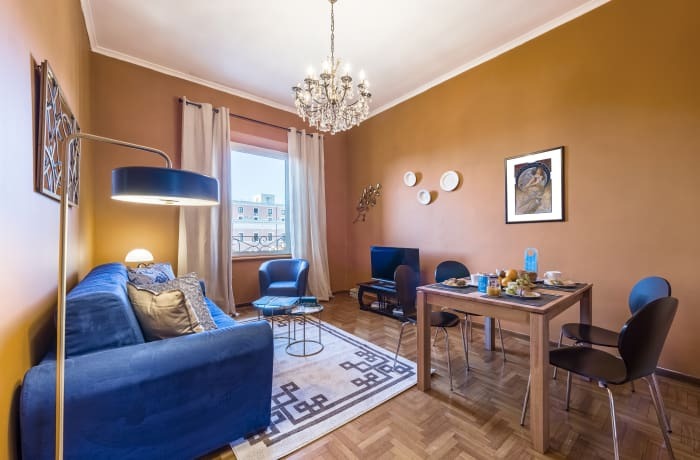 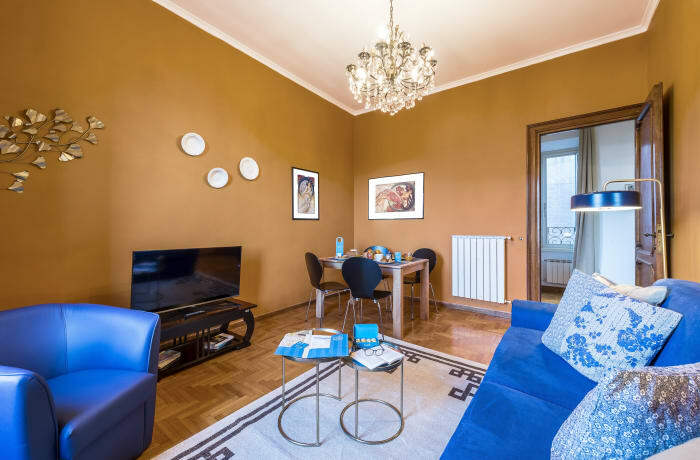 The chic 1-bedroom Nazionale B apartment in Rome puts you within easy walking distance of many of the city's main landmarks. 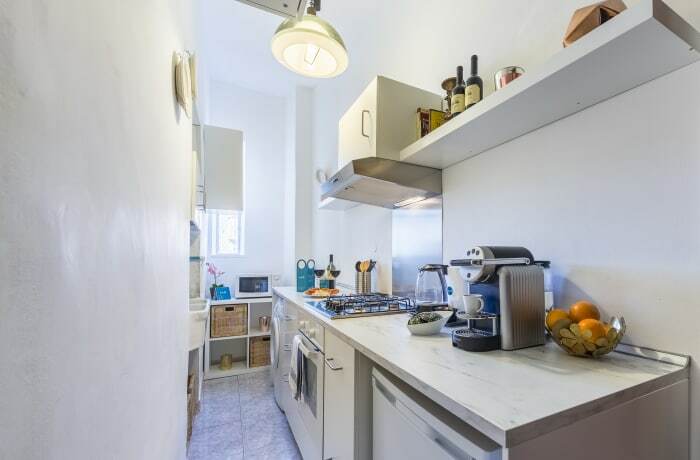 It's just around the corner from the star-studded Rome Opera House (3 mins). 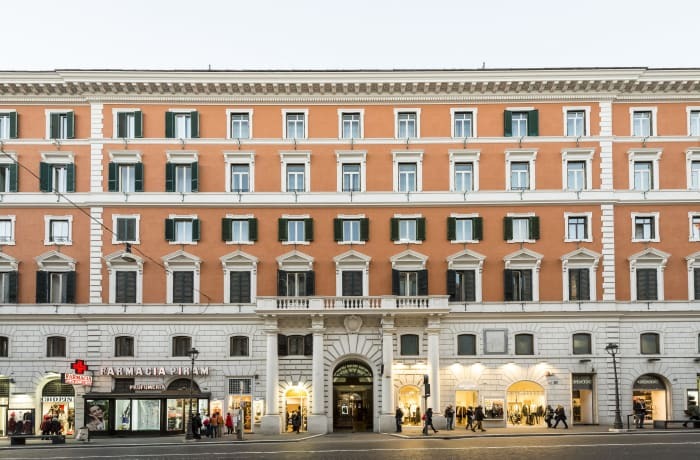 Head west and you can't miss the splendid baroque Trevi fountain (10 mins). 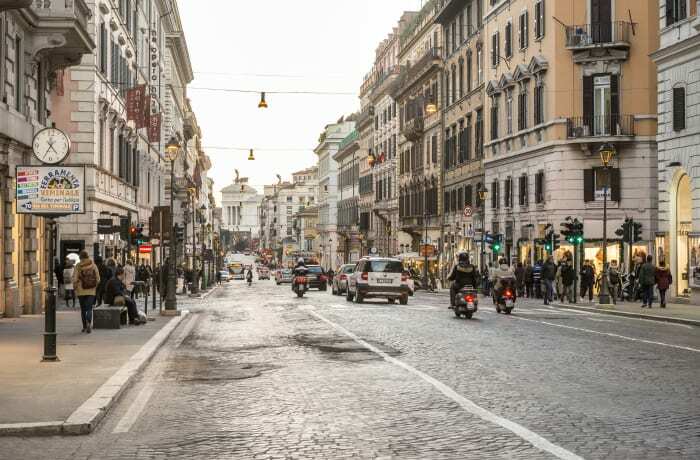 Stroll south and you'll reach Trajan's Forum (8 mins) and the Colosseum (10 mins). 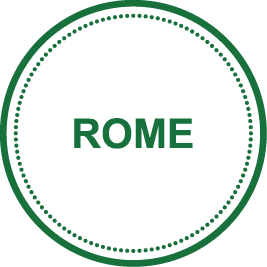 Metro and light-rail stops are within a 5-minute walk. 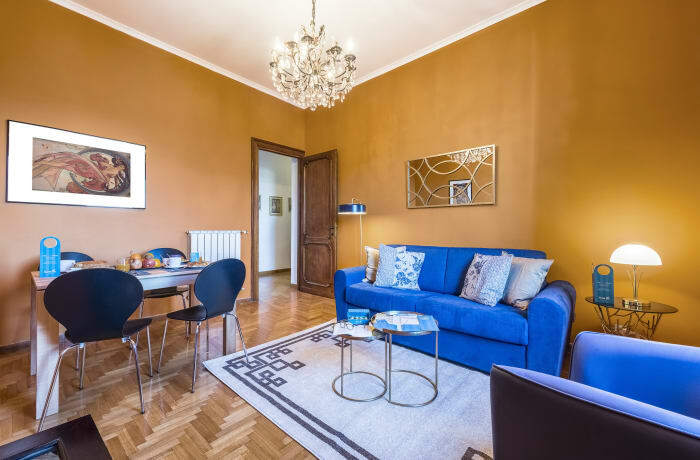 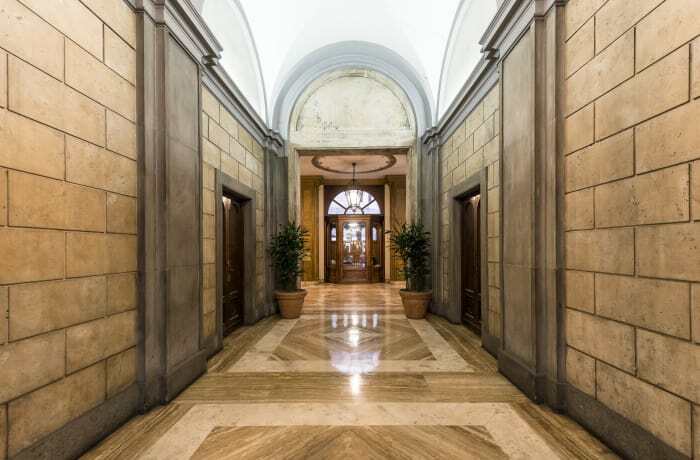 Located in a palatial building with a magnificent marble foyer, this apartment in Rome has been renovated by our local interior designer in a style which nods to Italian Art Deco. 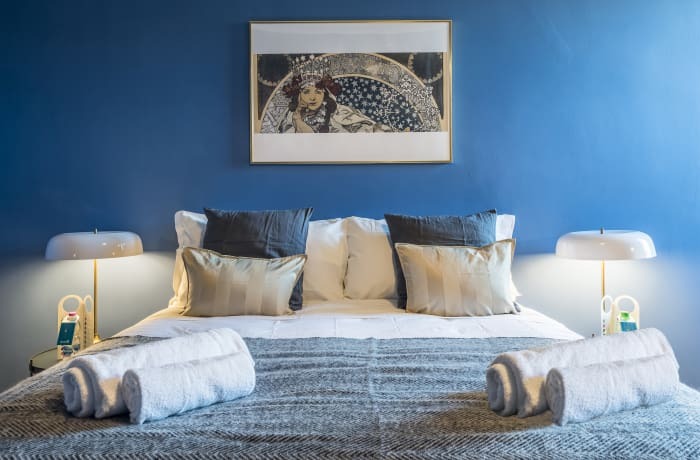 The bedroom features an opulent king-size bed, and the sofa bed in the lounge can sleep two, allowing the apartment to accommodate four guests in total. 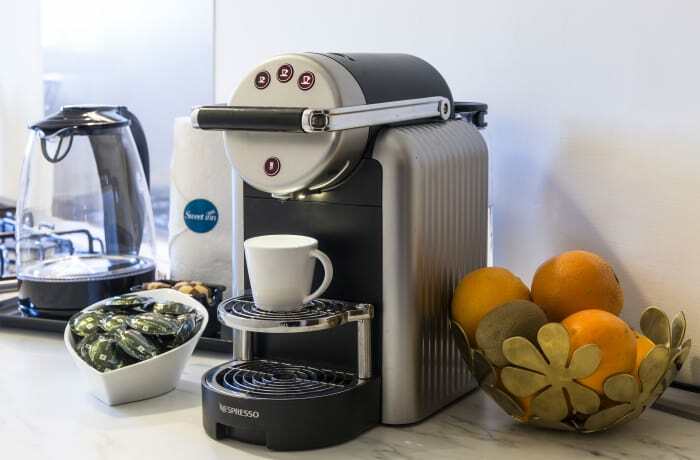 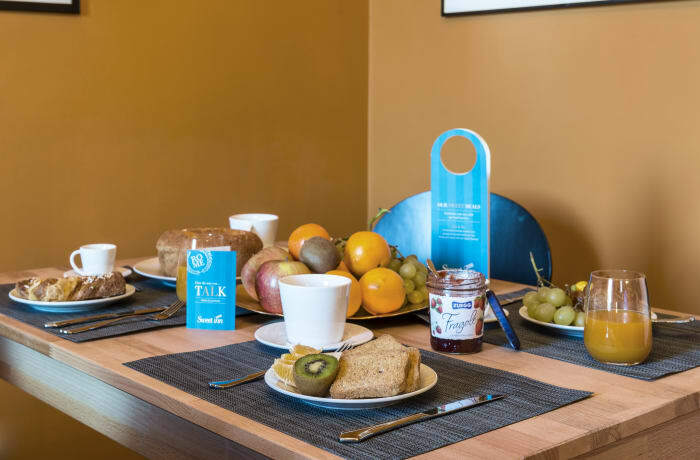 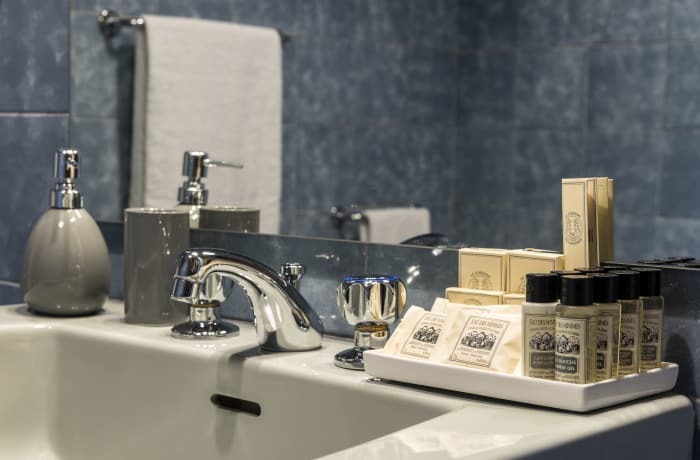 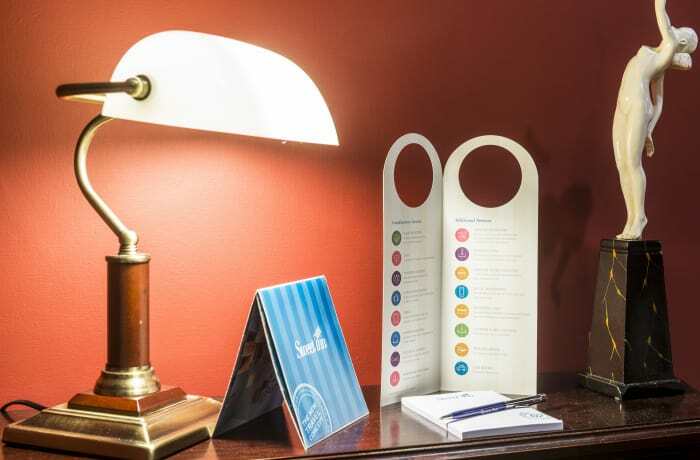 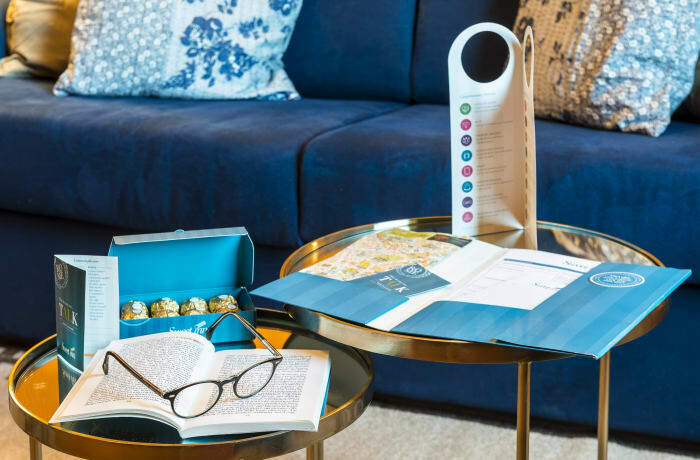 The apartment includes premium amenities such as free WiFi, cable TV, the finest beds and linens, and a Nespresso machine for your coffee cravings. 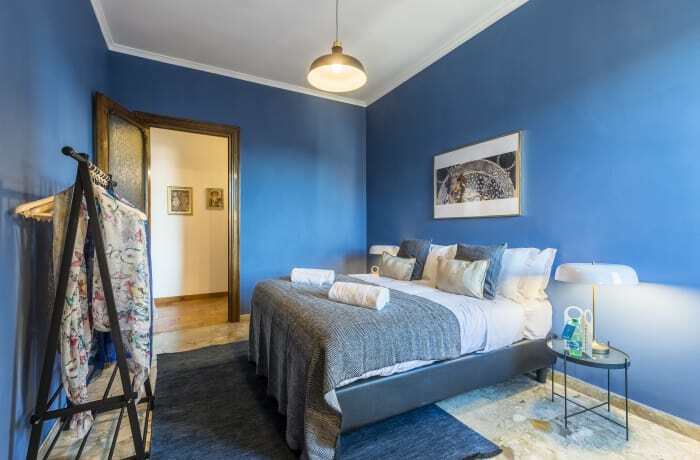 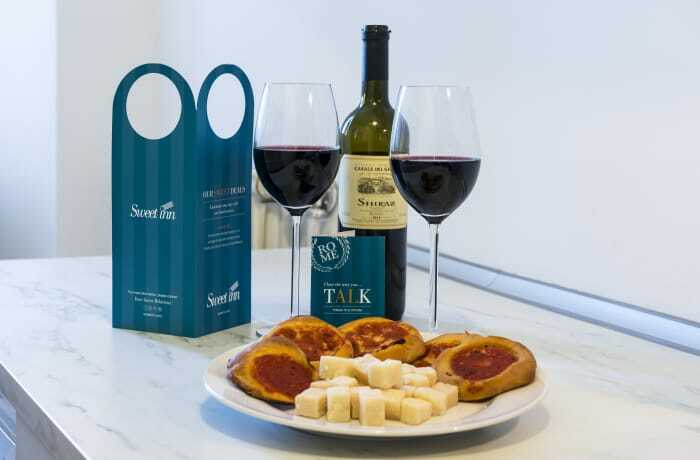 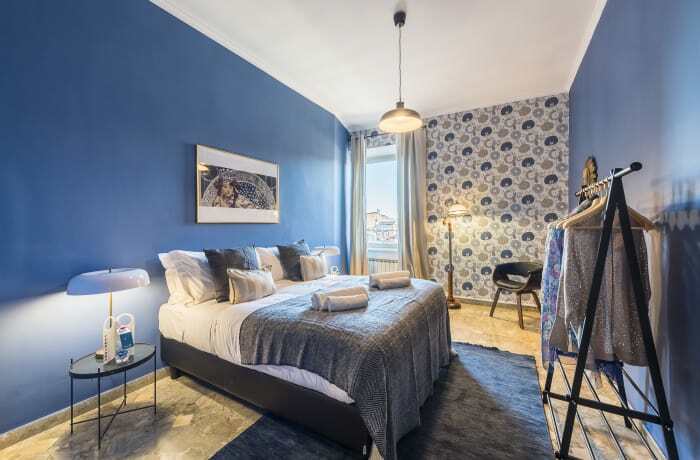 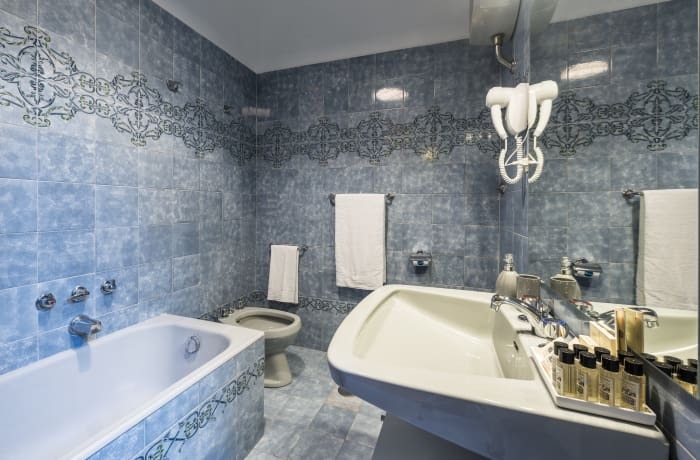 With its elegant address and 1930s-style chrome-trimmed furnishings, this vacation apartment is sure to set the mood for a wonderful time in Italy's capital city.